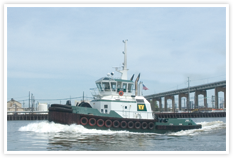 Since our beginning in 1965, Wilmington Tug, Inc. has been owned and operated by the Rowland family. Our commitment to provide superior service is unsurpassed, because our business reputation is also our family reputation. From the Founder, Captain Harry H. Rowland to Captain H. Hickman Rowland, the current President, the owners have been experienced docking pilots. 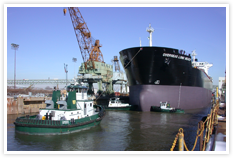 It is this hands-on expertise that has helped us put together the most advanced tug fleet for ship assist work found in any port on the U.S. east coast. With our sixth ASD Z-drive scheduled for delivery in April 2008, the average age of our tractor tug fleet is just 5 years. 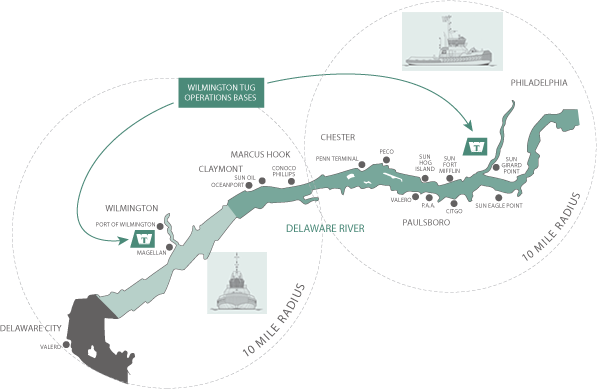 Our modern tugs operate from two bases on the Delaware River, Wilmington and Philadelphia, which allows us to provide our customers very responsive service.